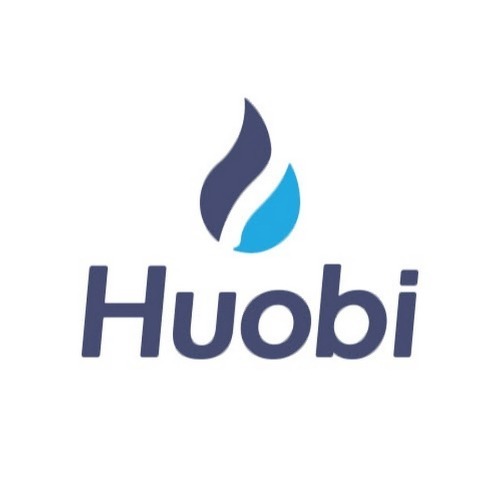 Huobi Token (HT) is the official token of Huobi; one of the largest cryptocurrency exchanges in Asia. 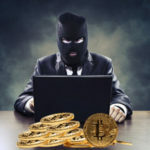 The token was launched by Huobi in an attempt to recover its business after the Chinese government cracked down on domestic exchanges in 2017. These regulatory changes forced Huobi to close its trading book service in September 2017 and revise its terms of service. The company now uses an over-the-counter trading model and is shifting its focus to overseas markets. Through HT, Huobi will be able to collect service fees upfront and increase customer retention by offering users exclusive deals that are only accessible to HT holders. The token will also serve as the asset that connects users on Huobi’s exchanges in South Korea, Japan, and eventually the U.S. (once the company expands to that region). To protect HT from price volatility, Huobi will buy back a portion of the tokens based on the market price every quarter using 20% of its net profit during the same period. The tokens will be held in an Ethereum wallet called the Huobi Investor Protection Fund (HIPF). The fund will be used to protect investor benefits and compensate Huobi users for any losses they incur because of the platform. Huobi Token was first issued on January 23, 2018, and runs natively on the Ethereum blockchain using the ERC20 token standard. It is basically a blockchain-powered loyalty point system that can be used to acquire discounts of up to 50% on trading fees, among other things. Transaction fee discount – HT holders can become VIPs and get huge discounts on transaction fees. This option will be attractive to whales who trade in large volumes. Liquidity protection – Every quarter, Huobi Pro buys back a portion of HT on the open market using 20% of the profits it earns from trades during that period. The tokens will be held in the HIPF pool to shield HT from price volatility. HT exclusive events – HT holders will receive free coins via airdrops from new projects that are listed on Huobi Pro. Provide feedback – HT holders will have the exclusive opportunity to provide suggestions to Huobi Pro through surveys. Trade against popular coins – HT can be traded in BTC, ETH, and USDT pairs. Huobi Token also gives holders the power to vote for coins listed on Huobi Autonomous Digital Asset Exchange (HADAX), and this is where HT holders stand to gain the most value. HADAX is a hybrid exchange that lets users to vote on projects they want to see listed on Huobi Pro. HT holders can cast votes for free and may also receive free tokens from winning projects via promotional airdrops. Huobi isn’t the only exchange to issue its own token as a blockchain-based loyalty point system. Binance did something similar with the launch of Binance Coin (BNB) in July 2017. Like HT, BNB’s primary purpose is to give holders discounts on trade fees and exclusive perks. KuCoin also released its own token called KuCoin Shares (KCS), which gives holders daily bonuses and discounts on trading fees. COSS has COSS Token and Bibox released Bibox Token. Other exchanges appear to be jumping on the token-as-loyalty-points bandwagon. South Korean exchange Bithumb, for example, announced plans to launch Bithumb Coin. Competition from other exchanges won’t affect HT’s use case because it is unique to Huobi and it only brings value to Huobi Pro users. – 300 million HTs (60%) were issued to users who purchased a service fee package at a discount on Huobi Pro. – 100 million HTs (20%) are reserved for user rewards and the operation of the platform. – 100 million HTs (20%) are held by the development team and are subject to a 4-year vesting schedule. HT’s price after issuance was ~$1.4 USD. It remained constant until April 2018 when it crossed the $2 mark. Its market cap was first listed on April 27 at $107 million USD, and its price jumped to over ~$5 USD in the months that followed. HT has managed to maintain an upward growth since its launch and its value will likely continue to increase as Huobi Pro buys a portion of the circulating supply during each quarter, creating scarcity and increasing demand. HT can only be acquired directly from Huobi Pro and is available in USDT, BTC, ETH, DASH, BCH, LTC, XRP, and IOST trading pairs. The official wallet for HT is still under development. Until that wallet is released, HT can be securely stored in any Ethereum wallet that supports ERC20 tokens, including Exodus, MetaMask, MyEtherWallet (MEW), and Jaxx. Hardware wallet options include the Ledger Nano S and Trezor. Huobi Token has very good market liquidity. It is showing growth similar to Binance Coin and KuCoin Shares, which are valued at ~$1.8 billion USD and ~$300 million USD respectively. If it continues on this upward trajectory, HT could become one of the most valuable exchange tokens on the market.